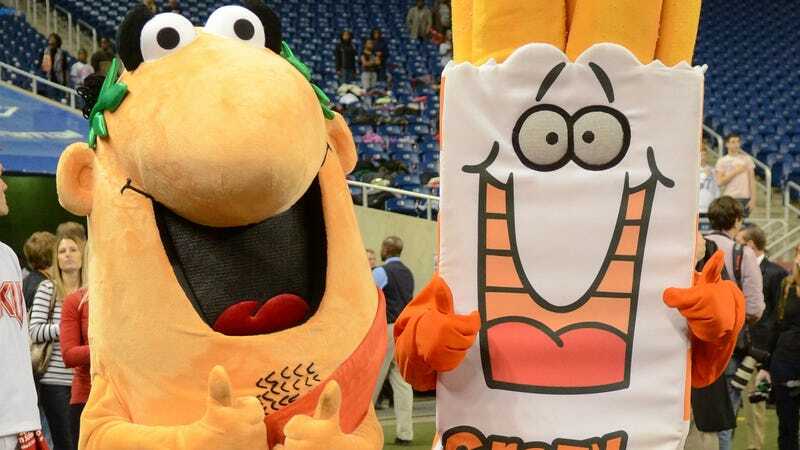 What’s up with the back of the Little Caesars mascot’s throat? Sure, we’ve all enjoyed Little Caesars’ “Pizza Pizza” guy and his sandals and his strange tuft of chest hair for many years. But a Twitter thread this week strangely focused on a even more specific thing: Namely the stripes at the back of the mascot’s throat. Looks like we have not been paying very close attention to our fast-food mascots, but we appreciate those who have.